(04-27-2015, 05:12 AM)exile90 Wrote: I saw the Walmart around my place filled with single bags with Hxx code versus the usual G45/46 bags. No new blister packs yet. So wave two starts with an H? nope the first number on the bags is irrelevant . 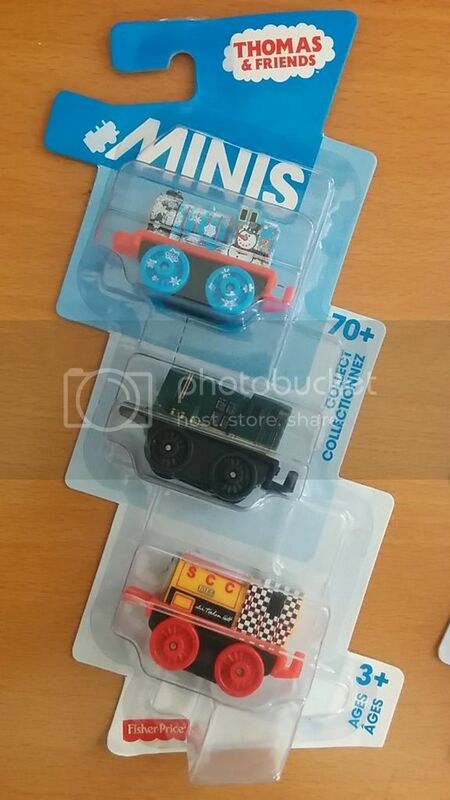 If you check by looking through the sealed bag you will see the same engines . I checked in my asda/walmart here in the UK and the H bags were wave 1 . I have contacted Mattel to clarify the release situation as none of the UK wholesalers/distributors are ordering wave 2 . (04-29-2015, 10:27 AM)frances2112 Wrote: So wave two starts with an H? I found nothing by me in Midwest, USA. 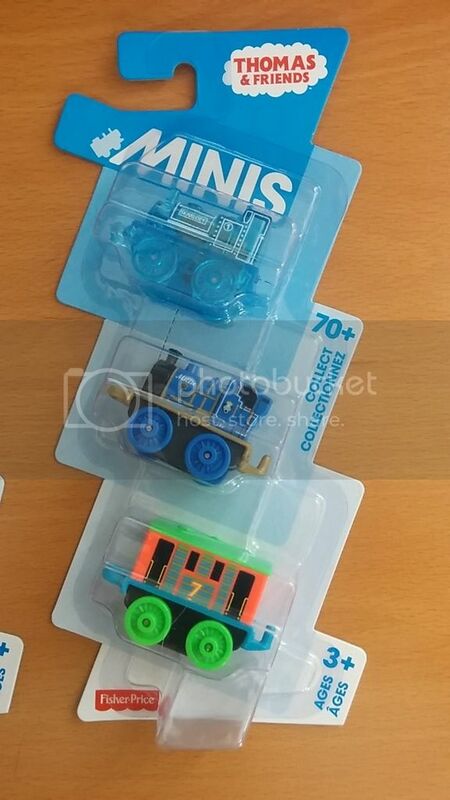 So if the H bags are still Wave 1, then from the Wave 2 the 2 new 3-packs are the only thing available around here in Toronto, Canada area. got my wave 2 from toot toot toys in aussie. going back to my last post, i only ordered the new ones instead of one of each. the first bag out of the box is coded H10A/25, so it seems like the numbers will continue following on from wave 1.
edit: here is my list of numbers and characters. there are 4 numbers whos contents are unknown as i didnt order those characters, so someone else will have to fill the blanks. Thanks! I was wondering what the codes were. That will make it easy to decipher the second. Wave from the first! I rewarded myself today with bags 19-23 from Target (Australia). They had seven display boxes compared to the two they had last time so it's clear that there's going to be enough going around. I imagine when Series 3 comes out around Toy Sale season, it's going to be a big deal. I'm going to store all the Metallic engines and the main Classic characters in the Playwheel and leave the rest inside a shoebox. 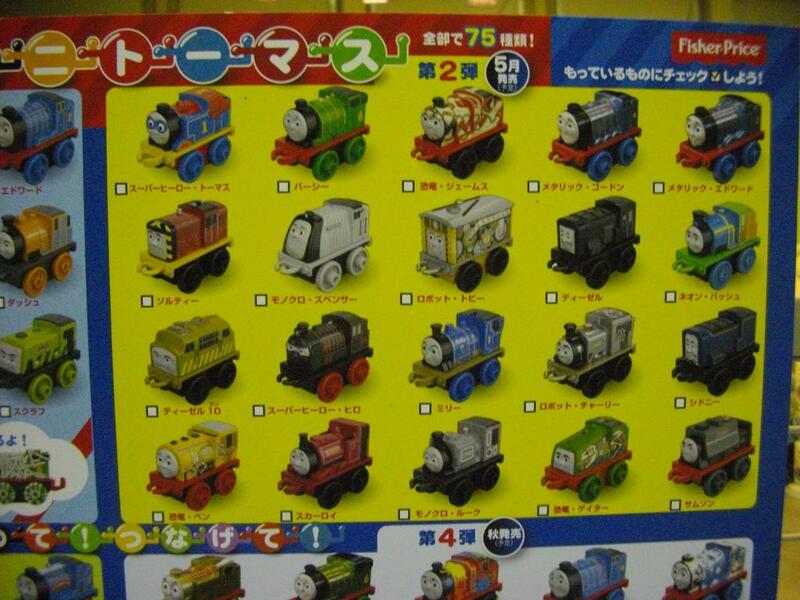 upon closer squinting at my checklist, i may have transposed the numbers for metallic gordon and edward. Thank you for filling in the gaps! Thanks for the updated chart. Now My Walmart just has to start stocking them! 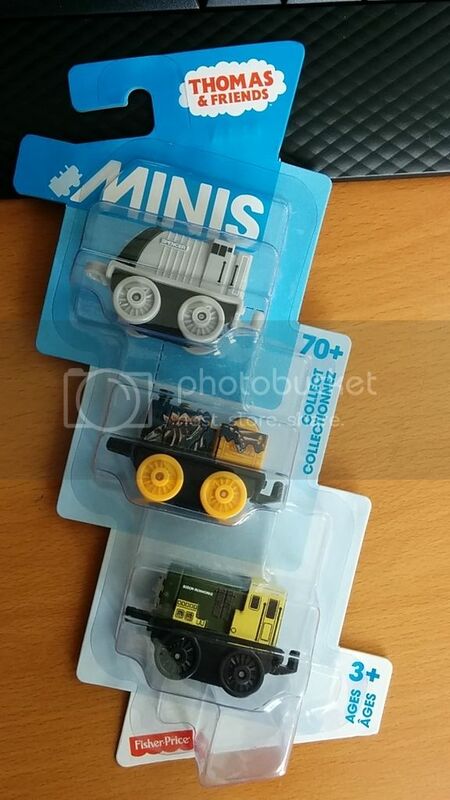 (05-02-2015, 09:03 AM)sunhuntin Wrote: upon closer squinting at my checklist, i may have transposed the numbers for metallic gordon and edward. have fun, frances! any sign of the 2 new 3pack blisters at walmart yet? ive seen one on ebay, but not the other. they look good, exile. love chillin edward. who is that at the bottom, arry or bert?